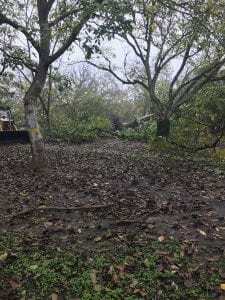 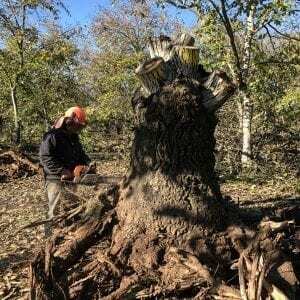 We had the opportunity to salvage a large Walnut orchard that the farmer was pulling out due disease and lack of production for most of the trees. 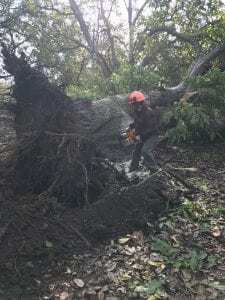 He had a bunch of firewood guys cutting the trees up and we were able to get all of the large useable pieces out beforehand. 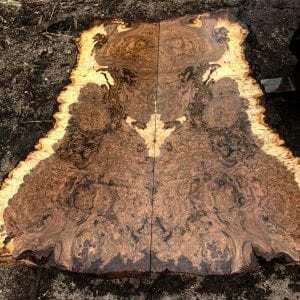 This was a famous orchard among the veneer and burl industry, it was known for having some of the best burls in the area. 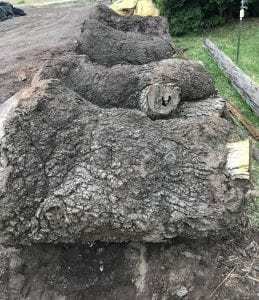 A lot of the super burls that remained had been standing dead for awhile so they were great for milling. 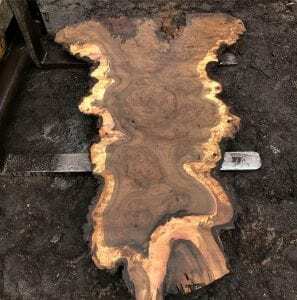 You won’t find standing burls like these being milled into slabs except at Hunski Hardwoods.